I love surprises. I love surprise cards in the mail; surprise runs with my besties; surprise “coming home and the house is clean”. The list could go on forever…. If you, like me, LOVE surprises – then I have a service that I think you might enjoy. Bulu Box is a monthly subscription service that provides 4 to 5 supplements, healthy snacks, and weight loss products every month. That’s right – sign up now and you could have a surprise package waiting on your doorstep once every month! I received my first Bulu Box as part of a Fit Approach promotion. Right out of the gate I was impressed. 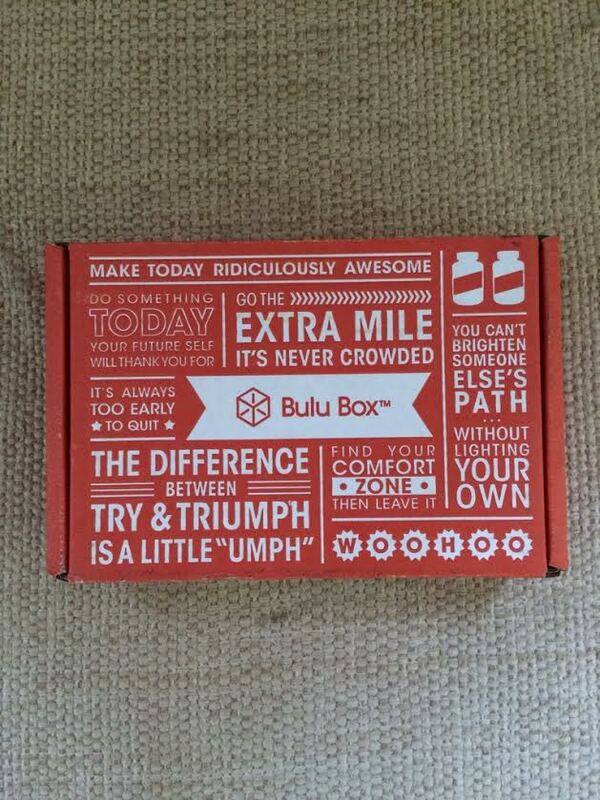 The Bulu Box was covered in positive affirmations. “Make today ridiculously awesome”. “The difference between try and triumph is a little ‘umph’.” “Go the extra mile it’s never crowded”. I open my Bulu Box to some incredible goodies. My favorite product was the Fusion Jerky! 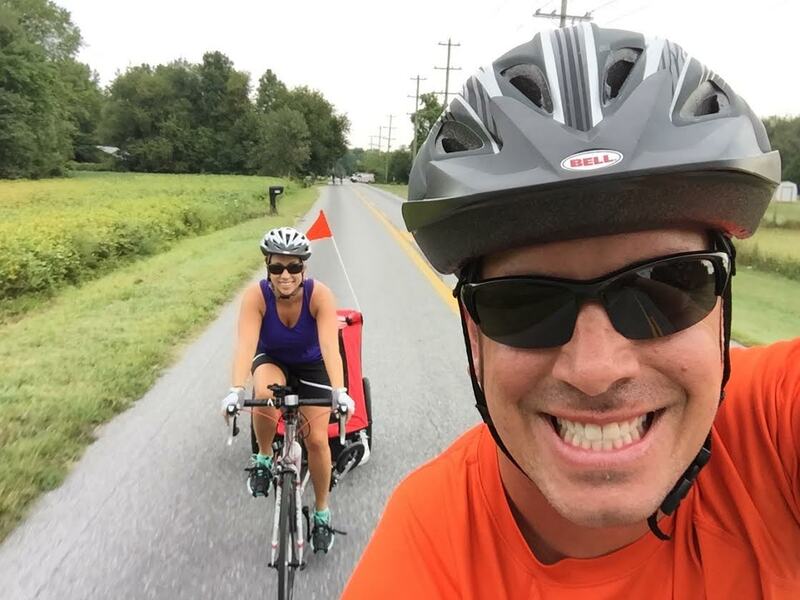 Not only was the jerky tasty – but it also had enough protein to power me and my husband through a 20 mile bike ride on an empty stomach. Keeping Jimmy interested in biking along for longer than an hour is tough – adding in hunger and you can just forget about it. But this jerky was hearty enough to see us through to the end. There are 2 Buluboxes to choose from: Bulu Box original and Bulu Box Weight loss. The best part of Bulu Box – the sample sizes allow you to try products before you commit to purchasing the full size item. In addition to surprises, I also love SAMPLES! These samples are like a test drive – giving you a chance to try the product before you commit! Now the best part – Bulu Box is only $10 a month; sign up for 12 months and it’s only $9.17 per box. But wait, there’s more… Sign up now using the discount code SWEATPINK and get 50% off a 3-month subscription! Let me do the math for you… That’s $15 for 3 surprise goodie packages waiting at your door! I can’t buy 3 venti drinks from Starbucks for $15.